Inbound and outbound marketing are vastly different marketing strategies. One is the strategy of the past, while the other is the strategy of the present and future. Find out why businesses that use inbound marketing see more sales, lower costs per lead, and a higher ROI over the long term. Outbound marketing is a traditional marketing strategy whereby companies approach prospective buyers through traditionalchannels, including magazines, newspapers, television commercials, and radio ads. With outbound tactics, companies force their brands on consumers who may or may not be interested in what they sell. There is virtually no way to track how your advertisements are affecting consumer behaviours with outbound marketing. When a message is presented to such a large audience of consumers, it is impossible to track if your advertisement encouraged consumer action. 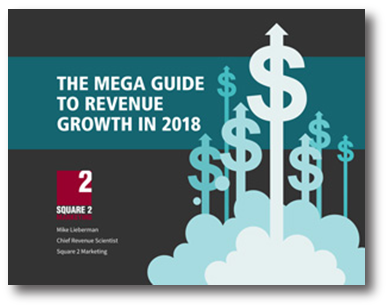 In fact, it’s impossible to know whether individuals are even watching, listening, or reading your marketing messages through outbound channels such as radio and television. Not only does outbound lack measurability, but it costs more, too. Did you know that television advertisements are the most expensive form of advertisements and will provide little benefit to your business’s sales? A 30-second television advertisement could cost your company thousands of dollars per week, and it’s quite likely that the viewer has either changed the channel or is not tuned in. Other traditional approaches are also very costly as well. A small advertisement in the local newspaper can cost several hundred dollars per week. A larger advertisement could cost up to $2,500 or more per week. That is a large portion of the marketing budget. With outbound marketing, you end up paying big money for ineffective marketing. Inbound marketing, on the other hand, is a practical, cost-effective, and reliable approach to marketing your brand online. Inbound allows you to pull interested buyers towards your brand, rather than pushing your marketing messages onto them. Engaging customers through content creation, social media marketing and search engine optimization (SEO) will bring customers to you. Buyers want information they can obtain instantly, with little effort and with the click of a singlebutton. Buyer behaviours have changed, and your company needs to adapt to the way customers buy today. Consumers are going online to seek out information about brands, products, and services before they buy. They don’t want marketing messages pushed down their throats. They want to be in charge. They’re looking to get informed and become more knowledgeable in order to make better purchasing decisions. They’re looking to buy on their terms. With inbound, your brand can be seen by the right audience online at the right place, at the right time. Not only is inbound the most effective marketing strategy your business can use today, but it’s also more cost effective than outbound marketing as well. The cost per lead is 61 percent lower with inbound. Results can be tracked and measured. And efforts can be improved. 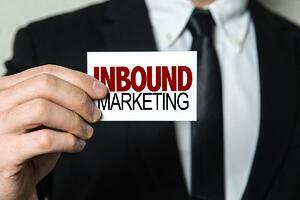 What’s more, inbound marketing offers the scalability not offered by outbound. If you want to keep up with your competitors and customers, it’s time to implement inbound marketing.